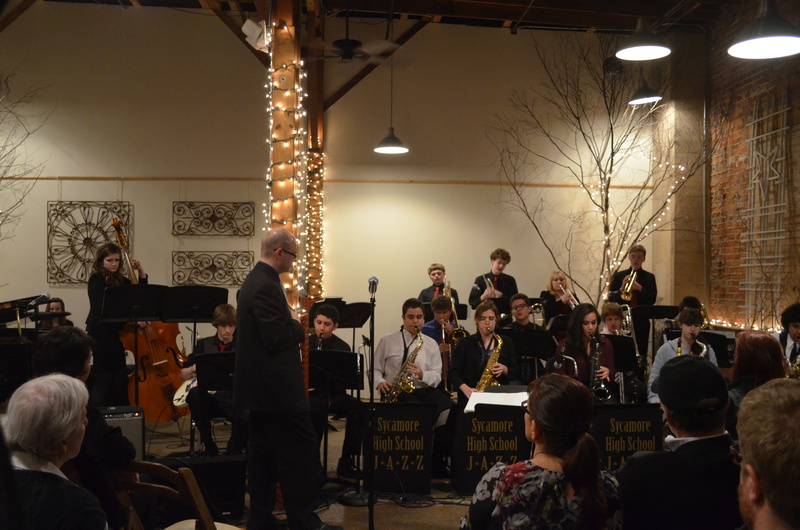 We are pleased to announce our 11th annual “A Note to Remember” event featuring Mr. Myers Band, the Event Horizon Jazz Quartet featuring Scott Mertens, the Sycamore High School Jazz Ensemble, SHS Jazz Choir, and SHS String Quartet. Mardi Gras-themed food and desserts and coffee bar will be included along with numerous raffle and silent auction prizes donated by local businesses. A limited number of tickets are available for this adult-only event at $30.00 per person which includes musical entertainment, hors d’oeuvres and coffee bar. A cash bar will also be available provided by Taxco Restaurant. Tickets are available to purchase now at the Sycamore High School Main Office, Northern Rehab Physical Therapy Specialists 3266 Sycamore Road office in DeKalb, Kar Fre Flowers, Shawn’s Coffee Shop, via e-mail at: Note2Remember@gmail.com, or by contacting Clare Dempsey at 815.751.8388. Sponsorship opportunities are now available and raffle/silent auction are being accepted. Please contact Committee Chair and Sponsorship Chair, Debbie Baugus, at djbaugus@gmail.com to donate today! VOLUNTEERS ARE NEEDED TO MAKE THIS EVENT SUCCESSFUL!! Are you willing to volunteer? Jobs are easy and run in hour-long shifts. No matter how many hours you work, there is always ample break time to enjoy the event. We have found that those responsible for putting on the event enjoy the event even more as we get to see our efforts culminate into a spectacular fund raiser for our children of music. **Volunteers will be given 5 raffle tickets for every shift you work. Volunteers who sign up for Saturday night clean up (9:30pm-close) will be given 15 raffle tickets. We are always looking for volunteers to help with any part of A Note to Remember! For questions, please contact A Note to Remember Chair, Debbie Baugus at djbaugus@gmail.com. You may also email: Note2Remember@gmail.com. Committee Members: Mark Baugus, Clare Dempsey, Jeff Hecht, Leslie Hecht, Kristine Mertens, Scott Mertens, Shelly Brychowski, Ron Bychowski, Cindy Prebil, Lisa Smith, Cara Jovanich, Jason Akst & Kathleen Valde.